Bigger Engine Or Lots Of Options: Which Is The Best Route When Buying A New Car? More power or more cash in your pocket? If you have ever purchased a new car, chances are you have had to make a choice between trims and options. You could option a cheaper car with a smaller engine or get the bigger engine and skimp on the options. What would you do, the base engine with a ton of options or the top-tier model with a beefier engine but no add ons? In this debate, Jared Rosenholtz will argue for options and Michael Hines will argue for engines. Check out where each of them stand and let us know where you fall in the comments section. Loading up with options is the better way of spending money on a car. Porsche is a great example of why this is true. If you have never purchased a Porsche, you may not know that almost every option costs extra, meaning that simple features like navigation and keyless entry don't come standard. This is done so that you quickly jack the price up when adding on options many cars offer standard. Ordering an S model will give you more power, but won't necessarily give you extra options as standard. The new 718 Boxster S, for example, starts as $68,400 compared to the base model at $56,000. For that extra $12,000, you get 350 hp compared to 300 hp in the base car. Is it worth the money? 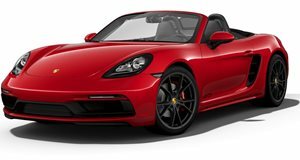 With that $12,000 you can spend $3,200 on the PDK transmission, which helps propel the base 718 Boxster to 60 mph in 4.7 seconds, just .3 seconds slower than the S model with a manual. You can then take the remaining $9,000 and add options like navigation, keyless entry, ventilated seats, and Bose audio. You can even add bigger wheels, the Sport Chrono package and sport exhaust to make base S owners jealous. 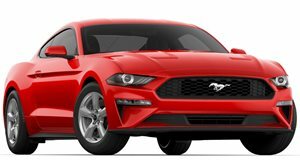 Another great example is the Ford Mustang. For around $30,000 you can either buy an EcoBoost Premium or a base GT model. With the GT you will get a 5.0-liter V8 with 435 hp, but you also have cloth seats and boring wheels. For the same money, the EcoBoost comes with leather, navigation, and bigger wheels. Not only will the EcoBoost look better on the outside than the base GT, it will be much nicer to live with every day. The EcoBoost may "only" have 310 horsepower and make a different sound, but you can always spend some of the money you saved on an engine tune. Besides, dealing with the loss in power will be made easier by riding on bigger tires and sitting in comfy leather seats. We often harp on power being all important, but most drivers won't be bothered all that much by a smaller engine size, especially when there are a ton of other amenities and features to make up for it! Talk about first world problems: Should I buy a car with a smaller engine and a ton of options or get the bigger engine and no options? What a cross to bear! The bigger engine is usually the better buy but this isn’t always the case. The Porsche 718 Cayman is a good example of this. You need to option everything! In fact, many luxury automakers nickel and dime you for options that "lower-tier" manufacturers make standard. But at the end of the day there really is no replacement for power. So, hell, go buy a Porsche 718 Cayman S. Yeah, it’s $12,400 more than a base Cayman but you’ll have an edge in the only place it really matters: performance. But let’s move away from luxury sports cars and onto a more affordable performance car. The Dodge Challenger SXT starts at $26,995. For that cash you get a 3.6-liter V6 rated at 305 horsepower mated to an eight-speed automatic transmission. But for just $31,995 the R/T offers a 5.7-liter HEMI V8 rated at 375 hp, and you get a six-speed manual standard. The R/T also comes with projector fog lamps and a decklid spoiler, as well as anti-lock performance disc brakes. The SXT does not, although you can probably pay extra to option them! The cheaper SXT offers no manual transmission, and to get the same set of wheels as the R/T you’ll need to pony up $1,4000. Like I said, performance is all that matters in the end. The R/T does 0-60 mph in 5.1 seconds and the SXT does the same run in 6.1 seconds. If you’re not handy with a wrench it might be tough to drop an entire second using your saved $5,000. Of course spending more to get a bigger engine on a performance car makes sense, but what about for a family car? The Honda Accord for $22,000 has a six-speed manual and is powered by a 189-horsepower 2.4-liter four-banger. The $30,000 Accord EX-L has a 3.5-liter V6 making 278 horsepower. But it also has the edge in tech and luxury, with things like a 7-inch touch infotainment screen and leather wrapped steering wheel offered standard. Ultimately the choice is your own, but just remember that spending less on a car oftentimes means getting less as result.